Skin Health Restoration Begins Here! We're So Cool We Freeze Fat! At the ZO Skin Centre®, helping our patients achieve their best skin health is both an art and a science. 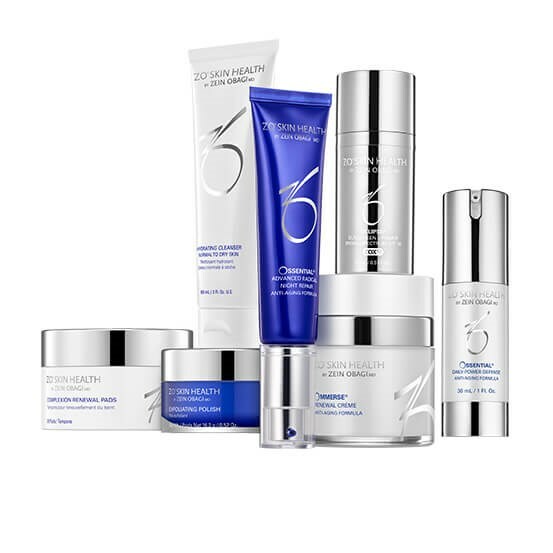 All the skin care professionals at ZO Skin Centre® in Orange County help patients obtain their best complexion by following the principles of Dr. Obagi’s ZO® Skin Health Circle™. This skin care philosophy starts with therapeutic solutions that are scientifically designed to address medical skin conditions, like acne, rosacea, dryness, and more. Once the skin condition is treated, a maintenance program is created to prevent reoccurrence or the development of other concerns. This program is boosted by a daily skin care regimen that selects the best products for home use that nourish the health of the skin. Finally, the ZO® Skin Health Circle™ includes prevention to minimize damage to the skin, like UV rays, dirt, pollution, and natural aging. Mentored by Dr. Zein Obagi, board-certified dermatologist Dr. Sameer Bashey promotes holistic care for patients who visit the ZO Skin Centre® at Laguna Beach using the ZO® Skin Health Circle™ along with his own extensive medical training and experience. With advanced diagnostics and unique cosmetic treatments, Dr. Bashey's patients can improve not only their appearance, but their overall health with medical dermatology consultations in one convenient location. During his in-depth consultations, Dr. Bashey can assess chronic skin conditions including acne, psoriasis, and rosacea. Dr. Bashey also performs sun-related skin consultations to diagnosis more serious skin concerns like pre-cancerous lesions, skin cancer, and more. Schedule your consultation with dermatologist Dr. Bashey at the ZO Skin Centre® Laguna Beach to get clearer, healthier skin. Customized facial treatments designed to address your specific skin care needs and concerns for your best results. Skin health helps you understand best ways to care for yourself and what treatments will help you reach your goals. Laser treatments go beyond the surface of the skin to correct signs of aging and other concerns for a great complexion. Injectable treatments allow you to see fewer lines and wrinkles for a more youthful appearance without surgery. 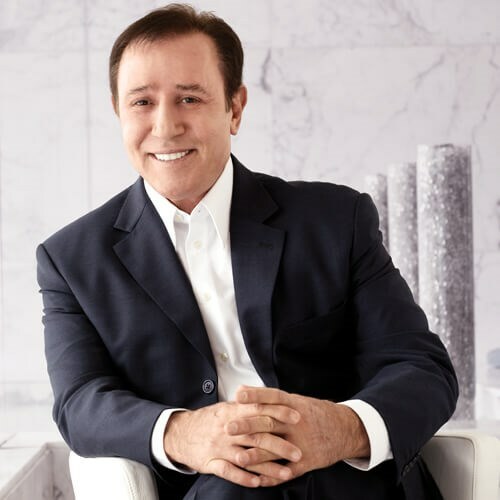 Dr. Zein Obagi is a board-certified dermatologist who has dedicated his career to leading modern skin care. A pioneer in many advanced skin treatments and products, Dr. Obagi created the ZO Skin Centre® to help patients their healthiest and most attractive complexion. With five U.S. patents, Dr. Obagi wrote the book on skin health: The Art of Skin Health Restoration and Rejuvenation. 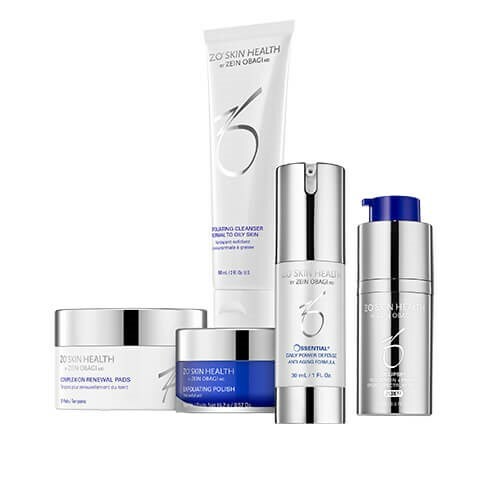 A true scientist, Dr. Obagi consistently seeks new technology, better ingredients, and advanced formulas that lead to pioneering treatments like the ZO® Controlled Depth Peel™ and his line of ZO® Skin Health Products. Dr. Obagi’s pioneering spirit and philosophy of exceptional patient care guide the doctors and staff of ZO Skin Centre® so everyone can enjoy his innovative and effective skin health solutions. I went to see Dr. Obagi earlier this year to get 2nd opinion on a bump on my face that I thought was cancer. My original dermatologist wanted to remove it which would have left a scar. The moment Dr. Obagi walked into the room he easily diagnosed that it was nothing but a wart (embarrassing). If I would have went with the advice of my original dermatologist, I would have had an unnecessary scar on face! To my surprised he diagnosed I had Rosacea and recommended an aggressive treatment that I have just started. I found the staff incredibly knowledgable about the ZO skin line, professional, and caring. Also, they were very helpful in walking me through how to use the products (several times). I've already recommended Dr. Obagi to several friends and will continue to do so. A few months ago I got treated for my cellulite with the Cellfina Treatment. I was treated by Dr. Bashey in Beverly Hills and could not be happier with my results. Being in my forties I honestly do not have the time for creams with my baby running around. Cellfina was a very quick treatment and long lasting that gave me the desired results I had no idea were possible. I chose to get this treatment well before bathing suit season, but honestly there was very little downtime and the recovery was quick.There was bruising for a month or so after, but once that went away I was able to see the extent of the results. I would highly recommend this treatment to anyone who has mild to severe dimpling and cellulite. It was an immediate mood boost and overall I feel like my confidence after having a kid is restored. Voluma Filler for my Face instead of Botox! AMAZING Results I was not Expecting! I recently went to see Dr. Bashey in Laguna Beach as the holidays are approaching and needed to get some Botox. I have received botox in the past and am familiar with it. I am in my mid-fifties and figured this was what I definitely needed. Dr. Bashey didn't just look at me and give me what I came in for, he sat down and really looked at my face, then went over different areas that could use help. Dr. Bashey is articulate and ended up injecting filler into my upper cheek area as well as Xeomon into my forehead. The filler ended up very naturally lifting my cheeks and face and also will last me he said up to 18 months or longer. I am extremely happy with my results and very thankful he took time with me to evaluate my needs. Dr. Bashey is extremely polite and made me feel comfortable with consulting before doing anything. I did not feel pressured and not much pain! I am looking forward to seeing him in the near furture for a for a chemical peel :)Thanks! I could not be happier with my injectable treatment that I received from Dr. Bashey. He is kind, knowledgeable, and highly skilled. I will continue to see him for treatments. I highly recommend Dr. Bashey for ANY treatment or skin consultation. Did not even feel a needle poke! He is excellent! I am so over the moon with my dermaplane treatment experience from Melissa at ZO Skin Centre Laguna Beach. Not only was she fast, but also careful and meticulous. The very best I have ever had! Thanks so much Melissa!